Below are different options for entering PictureView 2. PictureView 2 introduces the concept of styles, which are just different ways that the files are presented. Currently, we have 3 styles: PV2, Classic, and Slide Show. Please see the Notes section of the following table for information regarding thumbnail dimensions (e.g., 4×6, 3×5, and 2×4), Multiple Windows versus One Window, and the Personal Group List. We are beta testing a new style for mobile users. Try PVMobile on your phone or tablet! NOTE: If you experience problems using the access links on this page and you are using a McAfee firewall, you may need to adjust the Net Guard settings of your Firewall to allow access to PictureView. Thumbnail Dimensions Note: You can now change the size of the thumbnail table to fit your monitor and window size. To add or remove rows and columns manually, use the Add Row, Remove Row, Add Column, and Remove Column buttons (sometimes labelled +Row, -Row, +Column, and -Column depending on the Style you choose). To have the table resized to fit your window automatically, use the Resize Table button/link. 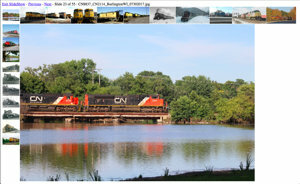 The grid dimensions for the Slide Show links above indicate the numer of rows and columns of thumbnail images. Multiple Windows Note: If you choose multiple windows, the thumbnail pages will appear in one window and the full-size pictures will appear in a separate window (saving you from having to reload the thumbnail page after viewing each picture). One Window Note: Thumbnails and images appear in the same window. After clicking on a thumbnail to view the full-size image, you will need to use the back button to display the thumbnail page again. Personal Group List: Cookies must be enabled in order for the Personal Group List to function correctly. To add a group to your Personal Group List, either click on the check box adjacent to the desired group in the Complete Group Index or visit a group, using one of the Complete Group Index links, and then click on the Add this Group link located below the table of thumbnail images. Access to the full archive is restricted to our paying members. If you are not yet a member, please Sign Upnow for unlimited access at just $12.95 per month. Parental Advisory: Usenet servers and the newsgroups they contain often include material which is unsuitable for minors. As a result, membership and access to the PictureView service is restricted to adults only.